Mr. ANAND DABAS, Bachelor in Law with 15 years of experience in handling Legal Affairs, Documentation & Litigation. Practicing as an independent advocate at High Court of Delhi and District Courts at Delhi and National Capital Region since 2002. He has exposure in drafting contracts, legal & commercial documents. His Area of Practice includes in-depth knowledge about Civil Laws, Criminal Laws and Consumer Laws. His Core Competencies include Drafting/Documentation, Legal Strategy Planning and also Client Relationship Management. 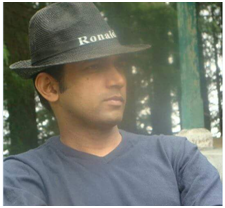 He has worked as an Advocate with Pernod Ricard India Pvt Ltd for 7 years and with Khurana & Co. for 1 year. He has worked with many humongous clients like Philips Electronics India Limited, Marico Industries Limited, Indiabulls Securities Limited, Nestle India Limited, Pernod Ricard India Limited (previously Seagram’s India Pvt. Ltd.), Carpenters Classic India Pvt. Ltd., (Venetta Cucine), Cargill India Private Limited, OCAP Chasis Parts Pvt. Ltd., Varun Beverages Limited, Beekman Helix India Pvt. Ltd., TechMahindra Limited. He is a respected Member with Bar Council of Delhi since September 1999, Member of Delhi High Court Bar Association, Member of Delhi Bar Association, Member of New Rohini Court Bar Association, Member of Dwarka Court Bar Association and Member of District Bar Association Gurgaon.